Our 1Kg Sweet Food Service Packs are ideally suited for Caterers, Coffee Shops and Hotels. 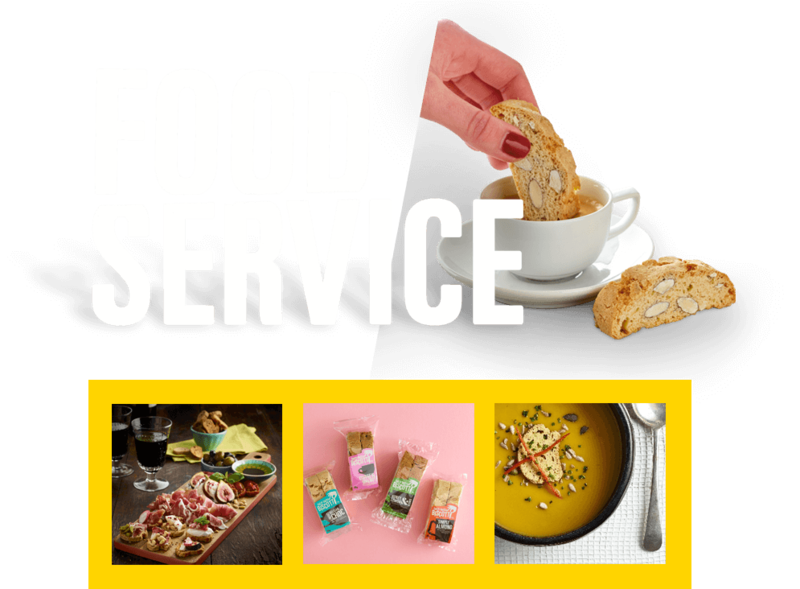 Offering either a small Sweet Biscotti with a Coffee or even a Tea with our World First Honey, Lemon & Tea Biscotti developed specifically for Tea Drinkers! 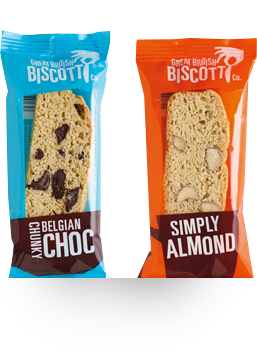 Our Savoury Biscotti range offers a New and Dynamic product that can be used either as a Canapé/finger food base, Cheese Biscuit, accompaniment to a charcuterie platter or even as a crouton in a soup or salad. We have 3 tantalising flavours, Parmesan & Fennel, Chorizo & Parmesan and Indian Spice. Each 1kg Box contains 10 x 100gr Bags to ensure freshness.